Variety broke the news that Xbox Entertainment Studios will be partnering with Scott’s Scott Free TV and 343 Enterprises — the game developers currently in charge of the Halo universe — for a “modestly budgeted” series. That will likely mean it’ll be a series of short episodes, as opposed to the presumably half-hour or hour-long series Spielberg is working on. Scott will executive produce this second Halo series, with Battlestar Galactica/Falling Skies vet Sergio Mimica-Gezzan directing. 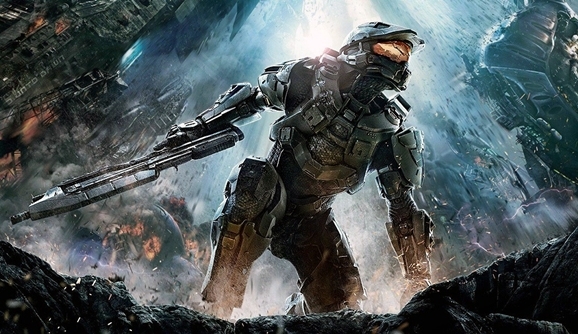 Short-form Halo projects have a proven track record, ranging from the excellent live-action commercials that have promoted the various games over the years, to the 2012 Halo: Forward Unto Dawn web series. That latter project premiered as a series of short episodes that were eventually edited together into a full-length feature film for release on Blu-ray and DVD. It led directly into the storyline of Halo 4, so it wouldn’t surprise me if one or both of these Halo series premiered in the months leading up to the next game release in the series. There’s no official word yet when either of these series might hit Xbox Live, and we haven’t heard anything about the Spielberg project since the Blomkamp rumors this past January. The fact that they didn’t have a director yet suggests the series probably isn’t imminent, so I’d make an educated guess that we might finally see one or both of the Halo series sometime in 2015. Then again, since the Scott project is apparently operating on a smaller scale, it’s entirely possible that might air first, possibly this fall to accompany the announced but undetailed new Halo game for the Xbox One. Their longtime rivals over at Sony are on the original TV series bandwagon as well; it was announced recently that Powers, the long-in-development show based on Brian Michael Bendis’ comics, would be premiering on the PlayStation. You can watch Halo: Forward Unto Dawn via the embeds below.